Harsh winds during the winter season can damage your skin badly and you do not look fresh as a result of that. You can cover the rest of your body, but you cannot stay in public with your face covered all the time. Even though you manage to do it somehow, you will have to uncover it while eating, drinking or speaking to someone. Therefore, you need a spotless skin, which makes you look beautiful. However, this task really seems impossible, as the body gets dry in winter. As a result, some people may head to beauty salons in order to seek solutions. Although that is not a bad idea at all, yet it will cost you a lot of money. Moreover, you will lose precious time as well. So what should be the solution? Well, it is not difficult at all, as you just need to take care of your skin a bit more than you do in the summers. The second part of the problem is that once people manage to take care of their beauty, they commit some silly mistakes, which result in damaging their skin. Therefore, they need to take care of a few things, especially while removing their makeup. The most important thing is to take some time out for your body. Although people are busy these days, but they do waste a lot of time on useless things. They should rather opt to look after themselves. Some women rub off their makeup with a tissue, which is not a good thing to do. It can hurt your skin and is not 100 percent affective. Therefore, apply a balm first and then use a cotton pad to get the desired result. It is important not to use a comb once you have applied the hair spray, as it will damage your hair and the style won’t look cool as well. Rather than using harmful beauty products, it is better to drink enough water so that your skin stays fresh. People do not consume much liquids in the winter season, thus their skin becomes dull. 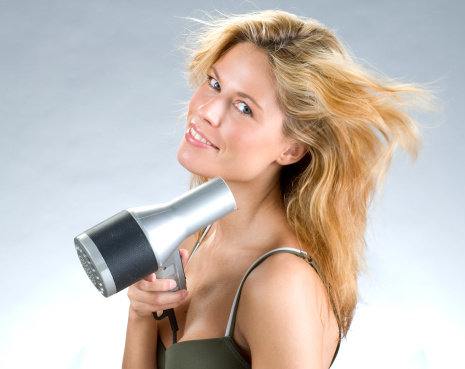 Last but not the least, do not use the hair blowers frequently, as they can damage your scalp. It is better to let the hair dry naturally.